Coko & Daphney – Ladyfest Montreal! 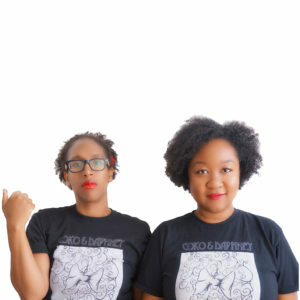 Coko & Daphney is a Toronto-based improv comedy duo. Together, they have performed in many comedy festivals including Zoofest/OFFJFL, New York, Chicago, Montreal, Ottawa and Philadelphia. They also performed at the Harbourfront’s Annual Kuumba Festival’s first Black Women in Comedy Showcase: Black Like She. Come watch two friends present fresh perspectives in improvised slice-of-life comedy.